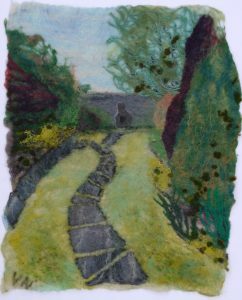 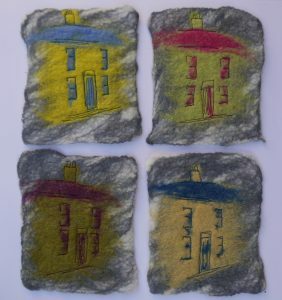 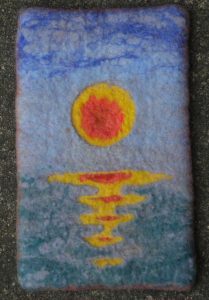 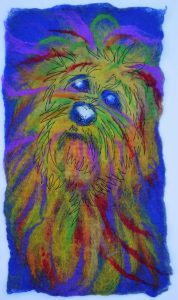 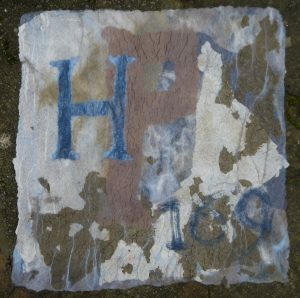 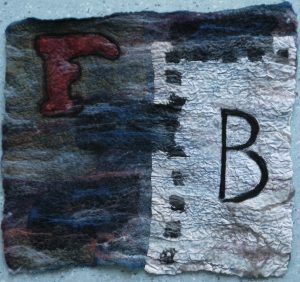 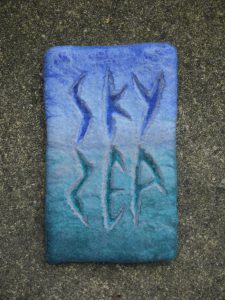 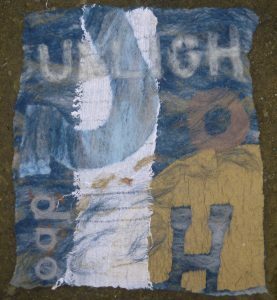 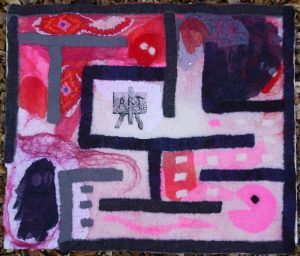 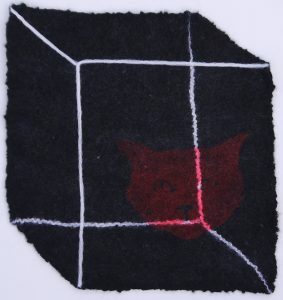 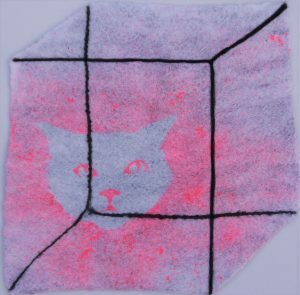 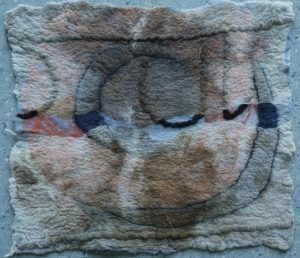 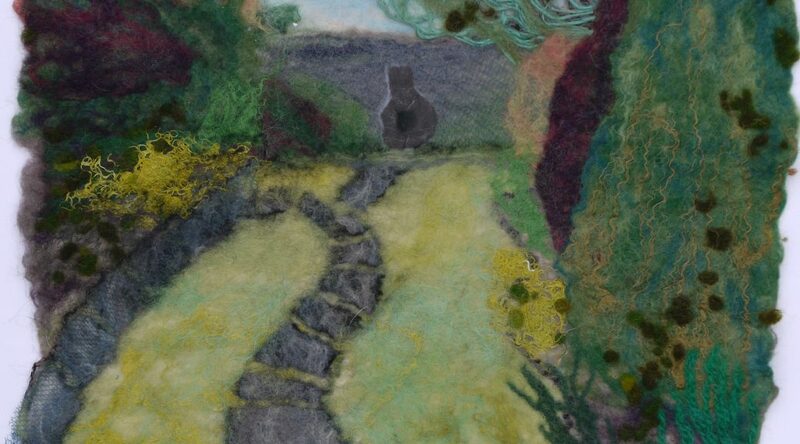 This tablet was constructed from layers of different coloured prefelt, wet felted, then scuplted. 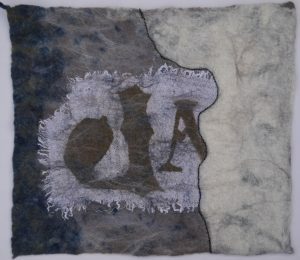 Merino wool, silk fabric and prefelt. 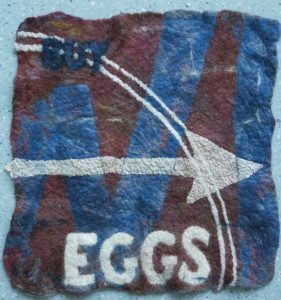 Design based on an old american advert. 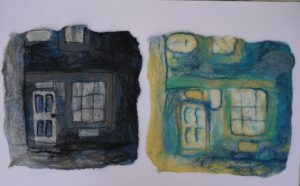 Merino wool, silk and cotton fabric, yarn. 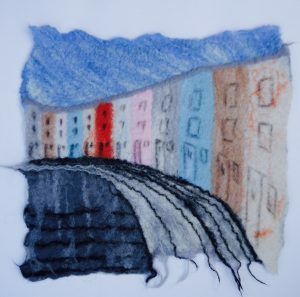 This picture depicts the colourful houses on the rolling hills of Bristol. 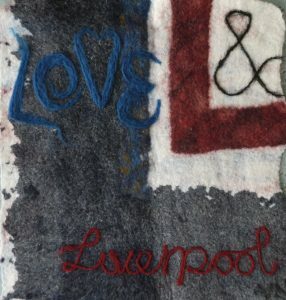 A merino wool base was free machine embroidered.